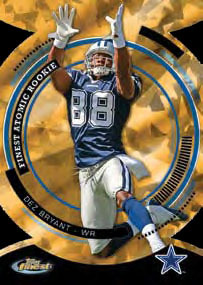 Rookie Patch Auto's will feature 35 Rookies that attended Rookie Premiere Photo Shoot and will feature 5 refractor parallel version numbered from 99 to 1. 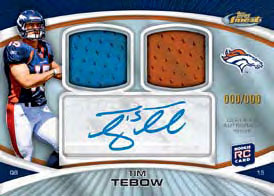 Dual and Triple Rookie Relic Auto's numbered to 10. 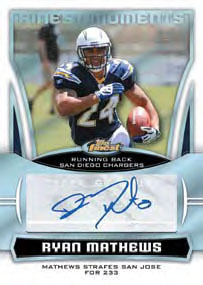 Finest is back and appears to be in it to win it in 2010. 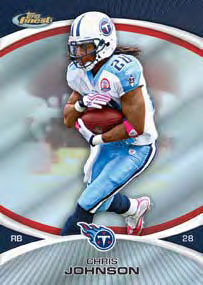 Finest is known for it's craftmanship, the mini-box, and it's consistantly strong card design. 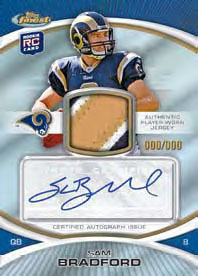 The biggest addition to 2010 Finest is the new Atomic Die-Cut Refractor Rookie Card.